Ronald McDonald House Charities seeks to create and support programs that are focused on children and improving their health and well being. Formed in 1974, the nonprofit organization has more than 300 Ronald McDonald Houses in over 50 countries and regions around the world and has twice been named among America’s 100 Best Charities. The historic GESU Catholic Church is located in Miami and is part of the U.S. National Register of Historic Places. The church was built in 1896 and is the oldest of its kind in the city. The church parish has spearheaded humanitarian community efforts for over a century. The Jewish National Fund is among the largest non-profit charities and is responsible for planting over 100 million trees, creating more than 1,500 parks, and providing critical infrastructure for more than 1,000 communities. Founded in 1901, the charity has connected numerous children and young adults to their Israeli heritage. Focused on enriching and improving the lives of children, the Fisher Island Philanthropic Fund works with developmentally disabled children as well as juvenile offenders through rehabilitative efforts. The nonprofit organization is comprised of Fisher Island residents and members dedicated to funding charities focused on serving children in need. Founded by Shelby Modell and Irwin M. Rosenthal, Chron’s & Colitis Foundation of America (CCFA) is driven entirely by volunteers and provides important research, workshops, and awareness on Crohn’s disease and ulcerative colitis while continuing to support solutions towards finding a cure. Women’s International Zionist Organization (WIZO) was founded in 1982 A non-profit aiding women, children, and the elderly living in Israel. It is the largest provider of social welfare services in Israel and is regarded as a humanitarian icon. WIZO seeks to strengthen the relationship between Israeli and American Jews by promoting Jewish culture and education on a global scale. THE HOLOCAUST DOCUMENTATION AND EDUCATION CENTER, INC. Since its founding in 1980 the The Holocaust Documentation and Education Center (HDEC) has dedicated itself to documenting and accurately presenting the Holocaust events as they happened via eyewitness accounts by its rescuers, survivors, and liberators. Through exhibitions and teaching, people from all walks of life can learn the universal lessons of this important event in history. Legal Services of Greater Miami continues to maintain its status as the largest provider of broad-based civil legal services for the poor in Miami-Dade County. The organization has assisted numerous women, children, seniors, veterans, the disabled and low-wage workers with issues such as tenant rights, homeownership, health, income maintenance, employment, consumer rights, and more. Since 1976 Habitat for Humanity has provided simply, decent, and affordable housing and remains focused on raising awareness of the ongoing issue of poverty around the world. Homes by the nonprofit organization are built by a team of volunteers and has assisted over three million people in building, rehabilitating, and preserving more than 700,00 homes since its founding. The Pulmonary Hypertension Association (PHA) was founded by a trio of pulmonary hypertension patients in 1987 seeking to connect others suffering from the illness via support groups and assisting with finding pulmonary hypertension centers and specialists. The organization has since grown to more than 15,000 members. 4KIDS continues to spearhead efforts to ensure that every child has a home. Through a collaboration of local churches, government agencies, and corporation, 4KIDS has assisted more than 15,000 children in crisis thanks to the joint efforts of everyday people the organization calls “Undercover Heroes”. 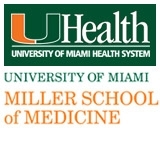 Named after former University of Miami President Donna E. Shalala, the privately funded program Shalala MusicReach dedicates itself to providing educational and outreach programs, encouraging healthier communities and allowing students to act as mentors, teachers, and role models for those less fortunate while simultaneously nurturing the love of music. Founded by twelve-year-old Oliver Stern, Oliver’s Hearing Aid Bank at the University of Miami gives hearing aids to children who cannot buy their own. By collecting “unwanted” and excess hearing aids, the hearing aid bank reprograms these aids to provide the gift of hearing for financially qualified children affected with hearing loss. Hetrick-Martin Institute provides a safe and supportive environment for LGBTQ youth and has grown from a small team of volunteers to a leading provider of social support for these individuals regardless of their background. The institute works with individuals between the ages of 13 and 24 along with their families. Formed Dr. Dame Daphne Sheldrick in 1977 in memory of her late naturalist husband, this philanthropic organization focuses its efforts on the rescue and rehabilitation of orphaned elephants, providing them a safe haven. The foundation has cultivated a respected worldwide reputation and continues to spearhead wildlife and habitat protection in East Africa. Since 1936, the Humane Society of Greater Miami continues to provide a home for homeless animals through shelter, food, veterinary care, and plenty of love, allowing them a second chance at finding a loving home. Through programs and services intended to educate, inform, and inspire the Humane Society remains steadfast in its efforts to remind the public of animal care and responsibility and treating them with the unconditional kindness these animals deserve. Holtz Children’s Hospital at Jackson Memorial Hospital is among the largest hospitals of its kind in the southeastern United States and trains the largest number of pediatric physicians. Its team of pediatric specialists have numerous years of experience in treating children with various types of needs. The hospital has been recognized by U.S. News & World Report as one of the nation’s best. As South Florida’s largest independent non-profit teaching hospital, Mount Sinai Medical Center is the largest in South Florida and it includes over 700 physicians, 3,500 employees and 500 volunteers. Founded in 1949, is also responsible for the prestigious Mount Sinai Heart Institute, well known for its superb survival rate and its minimally invasive cardiothoracic surgeries. The Greater Miami Jewish Federation has been a unifying force for Jewish community-building and philanthropy for over six decades. The federation provides human and financial resources to care for those in need, strengthen Jewish life and advance the unity, values and shared purpose of Miami’s strong Jewish community as well as Jewish communities in Israel and around the world. True to its name, the non-profit Make-A-Wish Foundation grants “wishes” to children ages 3 to 17 that are suffering from life-threatening medical conditions. Formed in 1980, the foundation has expanded into more than 60 chapters and currently operates in over 40 countries around the world. Numerous celebrities including wrestler John Cena and singer Justin Bieber have granted wishes or volunteered. Formed in 2003, the Wounded Warrior Project provides services and programs designed to ensure the financial, mental, and physical well-being of injured veterans as well as their families and caregivers. The Wounded Warrior Project aims to encourage a well-adjusted and successful generation of wounded service members. The American Society for the Prevention of Cruelty to Animals (ASPCA) is a non-profit organization committed to ending and preventing the ongoing problem of animal cruelty ever since its inception in 1866. The organization provides shelters plus resources for individuals in the proper care of their pets and is also involved in disaster preparedness and management.